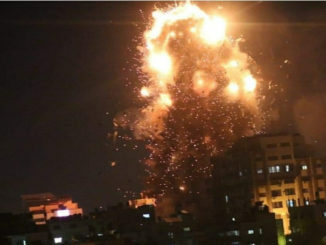 British Labor Party leader Jeremy Corbyn on Saturday condemned the “illegal and inhumane” violence against Palestinians by the Israeli state. 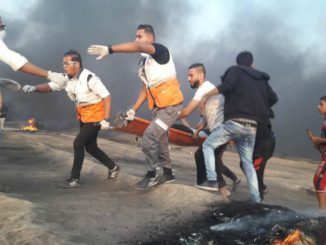 At least 31 Palestinians have been martyred and 2,850 others injured by Israeli gunfire in anti-occupation rallies on the border of the Gaza Strip since last week, according to the Palestinian Health Ministry. 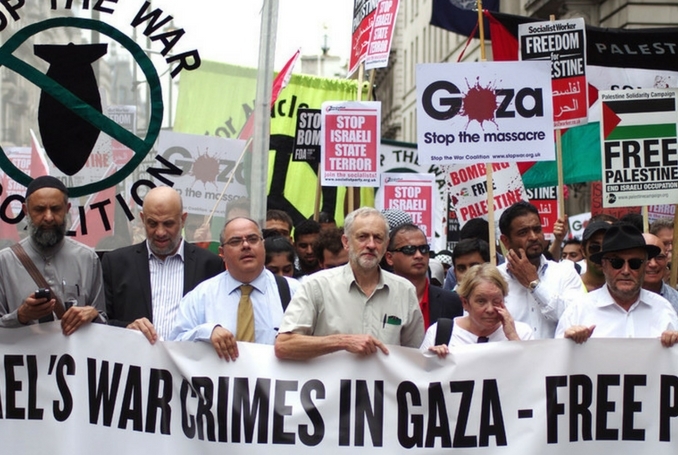 Corbyn’s statement was read out during a protest organized by the Friends of Al Aqsa group outside the prime minister’s offices at Downing Street. “We stand in solidarity with the Israelis who have taken to the streets this last week to protest their government’s actions,” he said. 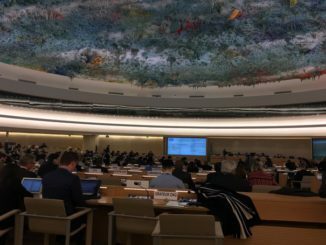 “support the UN Secretary-General’s call for an independent international inquiry into the killing of protesters in Gaza and review the sale of arms that could be used in violation of international law”. Thousands of Palestinians have been staging demonstrations on Gaza Strip’s eastern border with Israel against the decades-long Israeli occupation of Palestinian lands. The rallies are part of a six-week demonstration that will culminate on May 15, which will mark the 70th anniversary of Israel’s establishment — an event Palestinians refer to as the “Nakba” or “Catastrophe”.